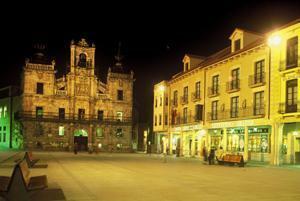 Hotel Astur Plaza Astorga, Hotel Spain. Limited Time Offer! Hotel Astur Plaza. 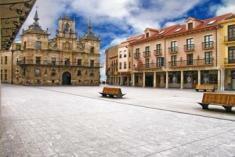 "Hotel Astur Plaza" is a 3-star hotel. This accommodation is a convenient place to stay when exploring Astorga. 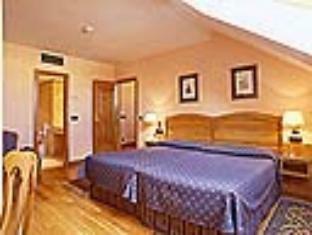 The air conditioning makes sure that the temperature in the rooms is kept pleasant. After a busy day, you have the opportunity to recover from your busy day in the spa. Guests can have dinner at the traditional onsite restaurant. After a good night's sleep, you can enjoy the accommodation's breakfast. For those who like to keep track of business, there is Internet access available free of charge. 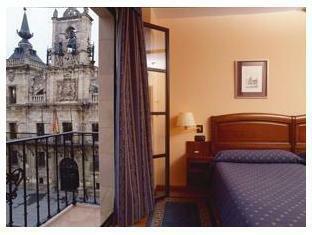 This hotel is located next to the Town Hall in the centre of historic Astorga, which lies on the crossroads between the Camino de Santiago and Vía de la Plata pilgrimage routes. The hotel Astur Plaza, established in 1998, provides our guests with what is necessary to have a pleasant stay. It has different kinds of rooms, a lounge called ,Patio de Cristal,, a tavern named ,Los Hornos, and a private car park for our guests.